Meet our summer interns funded by The Green Initiative Fund (TGIF)! Holly is entering her senior year at Cal with a double major in Geography and CRS, with a concentration in nutritional and medicinal ethnoecology. Her interest in sustainable agriculture first peaked during a semester spent traveling and volunteering on farms in Southeast Asia. 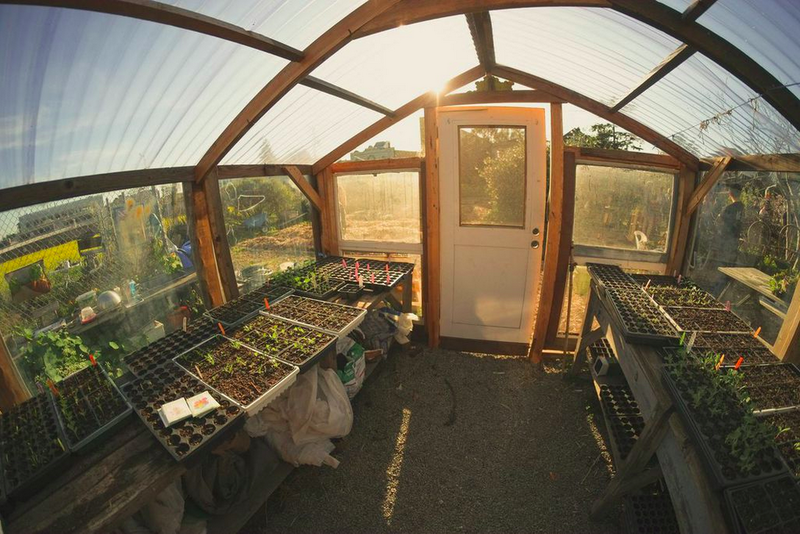 When she returned to Cal, her academic interests quickly shifted towards food systems and since then, she has been learning to grow food both inside and outside of the classroom. 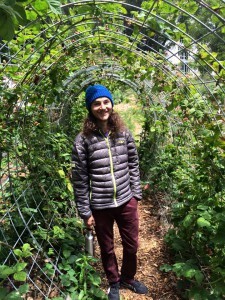 She’s gained experience by gardening at SOGA, her co-op, and other urban farms around the East Bay, in addition to completing a sustainable agriculture internship at Green String Farm in Petaluma, CA last summer. She is beyond excited to be spending her summer at SOGA and looking forward to engaging with community members during open hours and at workshops. She also hopes to integrate opportunities for creativity and exploration at SOGA while maintaining the functionality and productivity of the garden. 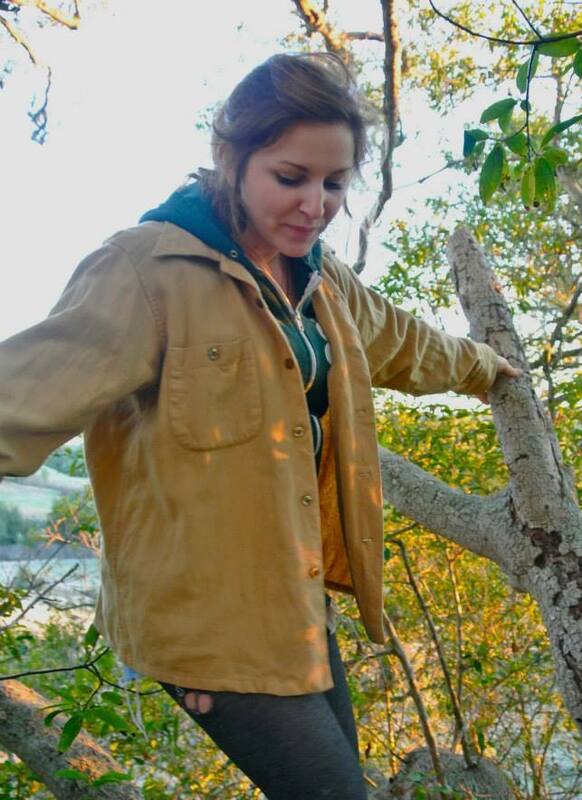 Brianna is a rising second year studying Conservation and Resource Studies with a concentration in Agroecology and Sustainable Food Systems. As a wee little chickpea, she was often sent to weed her home garden as a punishment for talking back to her mother or teasing her little brother. Although her parents thought manual labor amidst wicked prickly weeds would surely teach her about sass and sisterhood, she remembers secretly enjoying the opportunity to marvel at the flowers, dig for roly polies, pull out handfuls of grass, and make wishes upon dandelion seeds. 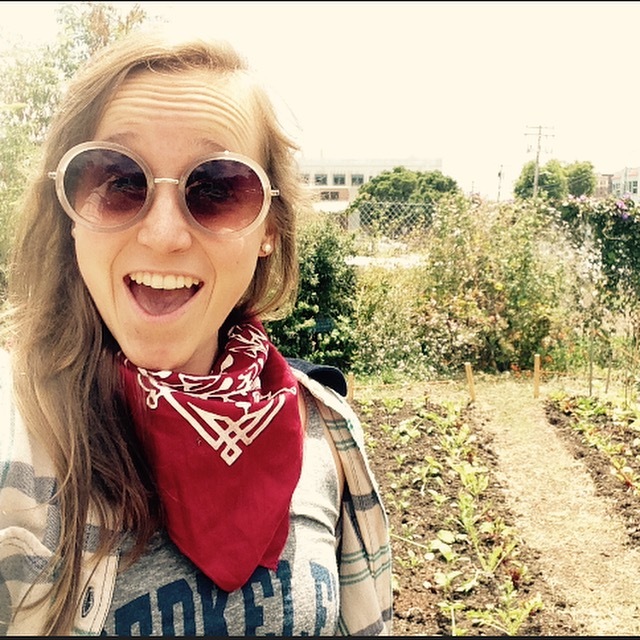 Since her first semester, she regularly volunteers at the Gill Tract Farm, while taking the Intro to Organic Gardening and Food Justice DeCal taught in SOGA. 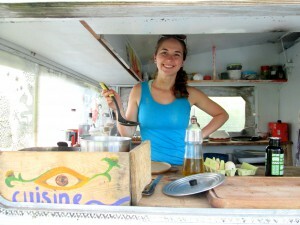 Brianna is our “Compost Fairy” and is stoked to spend her summer maintaining, exploring, learning, and caring for SOGA. Sarah is a rising senior studying Environmental Science with an emphasis on food sustainability and food justice. Sarah’s first real gardening experience was on an organic farm in France last summer through Worldwide Opportunities on Organic Farms (WWOOF). She has since fallen in love with gardening and was the garden manager at her coop this Spring. Sarah is excited to finally be a part of SOGA and the wonderful atmosphere and life it has through the community relationships it forges. As Programs Intern, Sarah will be working to build new community relationships and grow the student, faculty, staff and community support of the garden. Owen is a recent alumnus who studied Conservation and Resource Studies with a concentration in Regenerative Urban Food Systems. 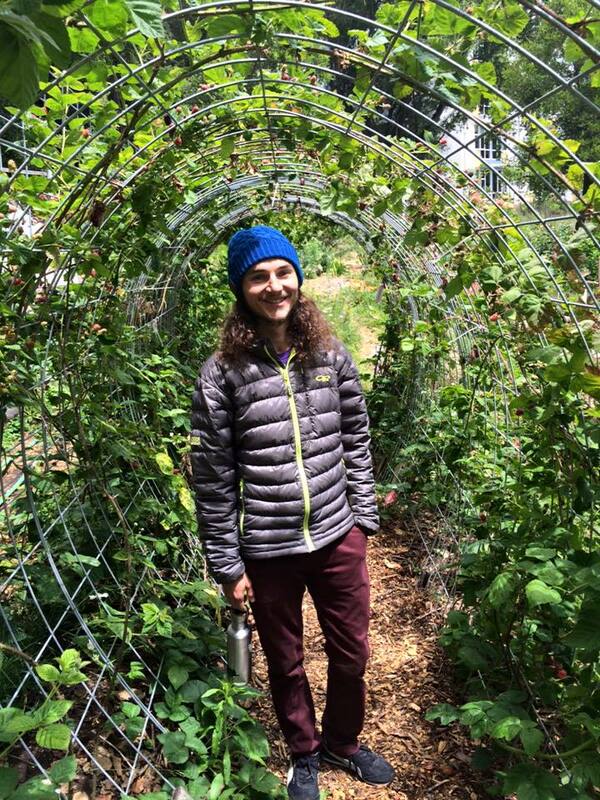 Owen has volunteered at urban farms in San Francisco, Berkeley, and Albany, and is a graduate of Urban Permaculture Institute of San Francisco. His position as the former SOGA Operations Manager makes him the perfect mentor for this year’s summer interns. Owen is excited to help pass the reigns to the next generation of SOGA leaders and see how the garden is transformed under their care and direction. Fathers Day in the Garden! All Hail the Compost Fairy!! Sign up for our bi-weekly newsletter for updates about events, DeCals, and other garden goings-on!